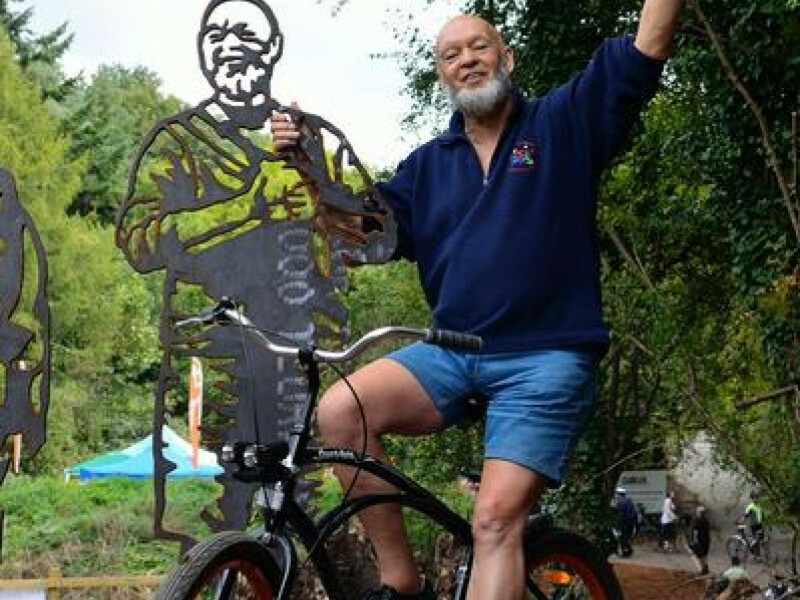 Michael Eavis, the founder of the Glastonbury Festival, has been immortalised in steel as part of the Sustrans Portrait Bench programme. The bench, along with the statue of Michael Eavis is to be officially unveiled at the grand opening of the new walking and cycling routes in Midsomer Norton. Events start from 1pm on 24 September 2011. Michael Eavis himself will be unveiling the portrait bench. This is the fifteenth of seventy two sets of statues being produced by Laser Process on behalf of Sustrans, the National sustainable transport charity. recent statues have included Stan Laurel and, footballer, Ledley King.